The beautiful green-grey foliage really sets off the lavender-blue flowers of this catmint. 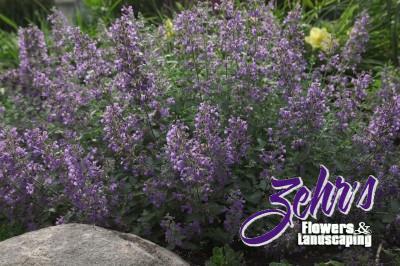 Blooms almost all season long, average garden soils. Will benefit from some light shearing after the first flush of flowers in early summer. Perennial Plant of the Year in 2007.